Launched in 2015, Made in China 2025(MIC 2025) is the Chinese government’s ten-year plan to update China’s manufacturing base by focussing on the country’s ten high tech industries. The strategy focuses to outline Beijing’s aspirations to dominate the global economy of the future, in pivot areas like new energy vehicles, advanced robotics, next-generation information technology (IT) and telecommunications, robotics and artificial intelligence. In the domain of industrial robots, China has earmarked new development plans and is making impressive progress. Conditions are ideal in China for building a thriving robotics industry, serving both the domestic and overseas market. First, the Chinese government’s efforts to bring the country into the global map by offering generous tax breaks and subsidies to robotics startups. Second, robotic companies have the potential to scale up soon as the Chinese domestic market offers a plethora of opportunities in a heavily industrialized market which is only patchily automated. Third, Chinese manufacturers are under pressure to automate if they aspire to compete with other low-cost manufacturing markets, which has the potential to create a huge demand for industrial robots to boost efficiencies and lower costs. The Chinese government has set up ambitious annual goals for the manufacture of industrial robots scaling from 150,000 units per year in 2020; to 260,000 in 2025; and a mammoth 400,000 in 2030. If the figures are achieved, it could generate revenues of $88 billion over the next decade. With these numbers, China looks on its way to becoming a robotics powerhouse taken from the perspective of both as a buyer and a seller. There is a huge demand from its manufacturing sector. China’s Robotic Density rate rose from 25 units in 2013 to 68 units in 2016, due to the significant growth of robot installations. In 2016, China’s development of robot density “was the most dynamic in the world” as per the International Federation of Robotics (IFR). Currently, China ranks at only 23rd in robot density worldwide, the government intends to put the country into the world’s top 10 most intensively automated nations by 2020, making China’s robot density more like 150 units per 10,000 workers, accounting for 40% of the global robotics sales. According to IFR statistics, China is automating faster than any nation on Earth, despite left one place behind the UK in industrial robot density. With the recent developments and Government support, there is no doubt that China will easily leapfrog the UK to secure its place in the world top 10 by 2020. Beyond that, it would aim the top spot which is currently held by the tech leader South Korea. China is on a robotics purchase spree. In 2016 alone, it purchased 66,000 industrial robots which are one-quarter of all the models sold worldwide in that year. Each industrial robot purchased is currently capable of doing work of 15 full-time human workers which means that China has effectively automated one million human jobs at present. The country aspires to build these robots itself and sell them to the world. To achieve the objectives of Made in China, the Chinese government is investing heavily in its robotics and AI ambitions. The results have shown China’s dominance. At present, China has the many of the popular AI start-ups in the world including the SenseTime, Reis Robotics, Geek+ and many others. The Chinese market hosts over 6,500 companies into robotics manufacturing with major players like SIASUN and DJI Innovations. 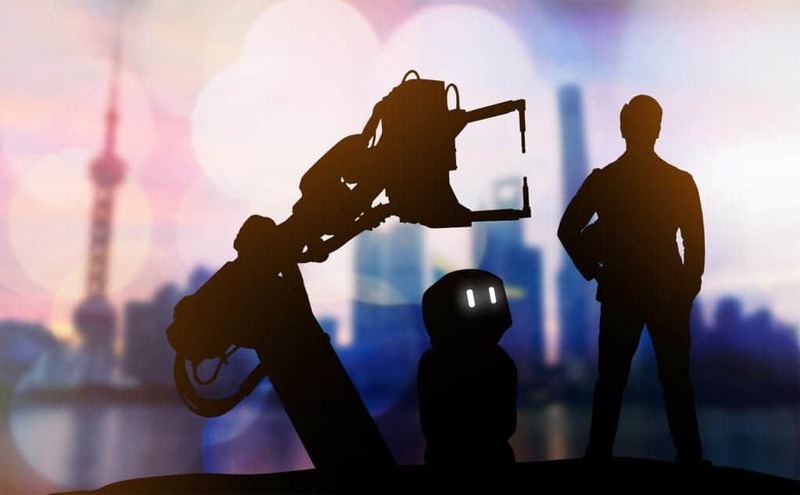 Government incentives have also allowed Chinese companies to acquire Western robotics companies including the acquisition of KUKA, one of the world’s largest robot manufacturers, by the Midea Group. In a bid to become the Robotics superpower, in addition to regional clusters, China has more than 40 robotics focused industrial parks throughout the country.